Notes: This is a beautiful pattern. I used it as my on-the-go project because after 1 or 2 repeats, you can easily memorize the pattern and see where you need to be. Plus, if you cable without a needle, that makes the project even more portable. I cast on 42 sts for a slightly less wide scarf. 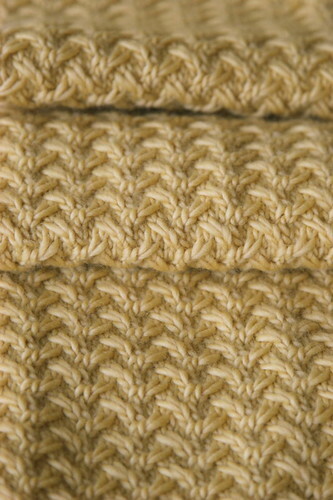 When I got to my second skein, I precut some yarn for the fringe, and then I just kept knitting till I ran out of yarn. 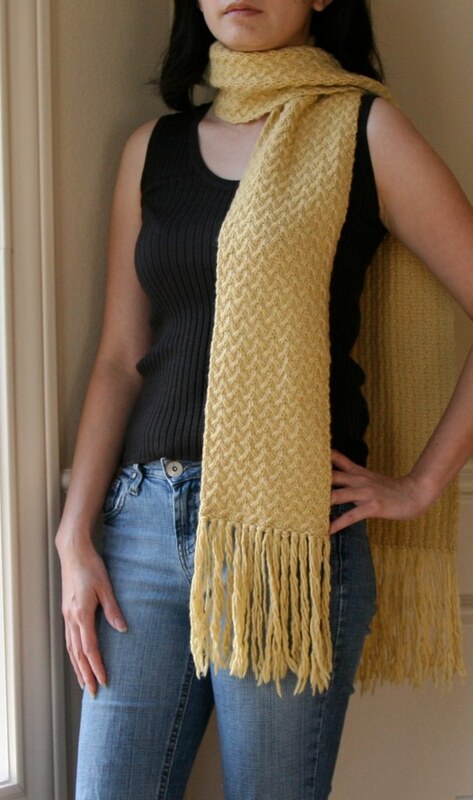 I ended up with a 6” x 62” scarf, not counting the fringe. Yes, the ends do curl a bit, but this is easily resolved once you block it and put on the fringe. 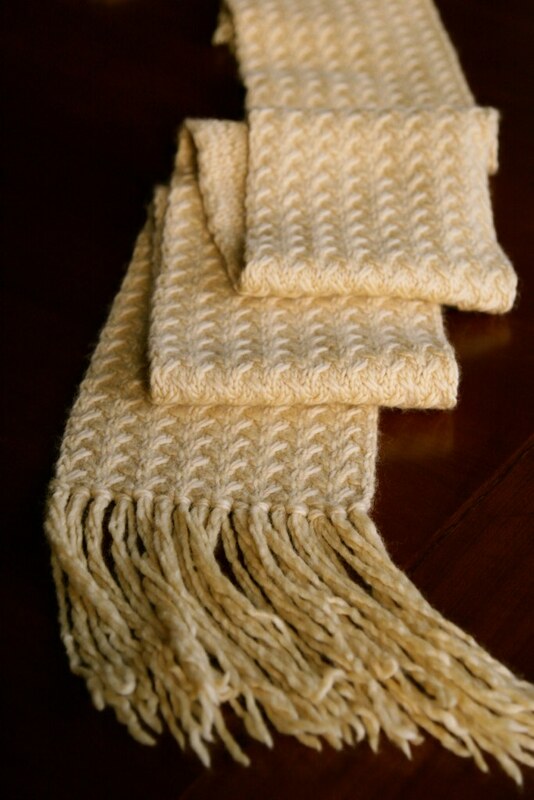 What a perfect scarf for our occasional cold snaps! This looks like just the right length and width too.